Making their debut this year, not many would be willing to bet their money on the Gujarat FortuneGiants, taking into account two factors. Firstly, this is their debut season and the management missed out on some major targets at the auction. Secondly, on paper, Gujarat seriously lack depth in their squad. 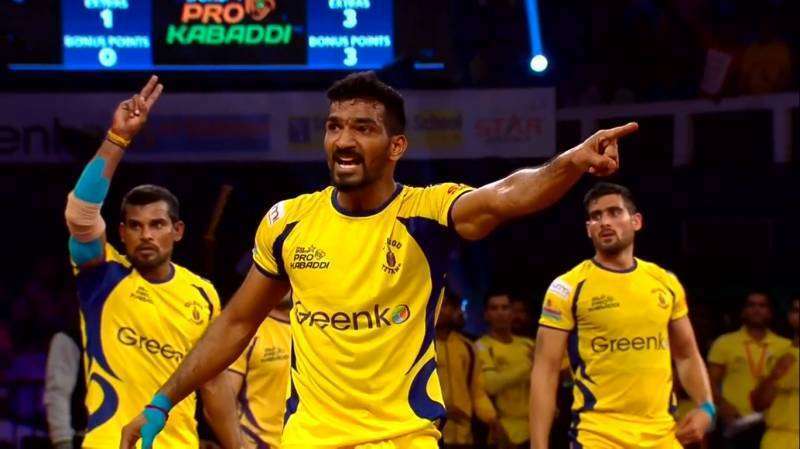 That being said, the Pro Kabaddi League has time and again proven that when established teams write off seemingly weaker opponents, it comes back to bite them. Gujarat have a solid seven capable of making the tag of ‘Giantkillers’, their own. Let’s take a look at their predicted starting line-up. For Sukesh Hedge, season 5 provides a unique opportunity. The 27-year-old will be captaining a side for the first time in the league. The raider is coming into this season on the back of a poor outing with the Telugu Titans. A season that was marred by injuries and subpar performances, Hegde will be keen to prove that last season was merely an anomaly; he picked up a mere seven raid points. A herculean task awaits Sukesh.